A milestone in the transformation of rail services along one of the UK’s most iconic rail routes has been reached today with the release of the invitation to tender (ITT) for the East Coast franchise. The ITT will ask bidders to set out detailed proposals explaining how they will build on the multi-billion pound investment planned for the East Coast Main Line, and what improvements in passenger services they will deliver should they win the franchise. • a fund that will drive innovation and deliver long-term benefits for the franchise and wider rail industry. “Franchising has been a force for good for our railways, delivering record growth to an industry that was once in decline. “The time is now right for us to find a long-term partner for the East Coast franchise, who can use their private sector expertise and knowledge to build on the significant investment planned for the route. 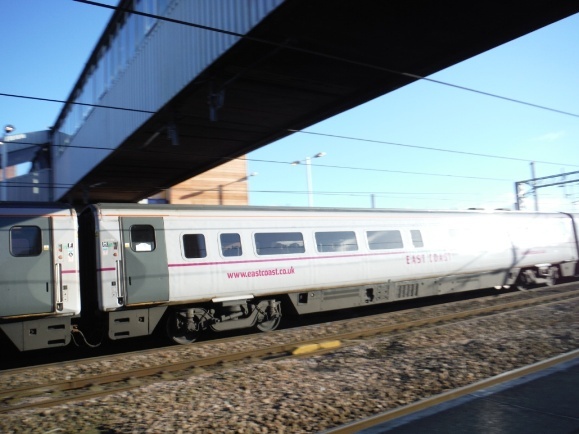 The East Coast is the first InterCity franchise to be let since the launch of the Department for Transport’s new franchising schedule last March, and has been developed in close consultation with the rail industry and the independent Franchise Advisory Panel. It is anticipated the successful bidder will be announced in November. The new franchise will start in March 2015 and run for eight years with the possibility of a one-year extension. • East Coast Trains Ltd (First Group plc). The East Coast franchise links some of the biggest towns and cities in England and Scotland including London, Peterborough, Doncaster, Newcastle, Aberdeen and Inverness. Services along the East Coast Main Line are set to be transformed over the coming years through £240 million worth of investments which will improve reliability and boost capacity for passengers and freight traffic. The route will also benefit from the government’s £5.8 billion Intercity Express Programme, which is set to deliver a new fleet of state-of-the-art trains which will cut journey times and boost the customer experience.